Aunt Louise: Happy Bastille Day! Is that the appropriate greeting? Or is that like when a foreign student once wished me a Happy Memorial Day, the day when we remember those who have died? Not sure, but here's a photo of Pres. Macron and his wife and a bunch of other people standing at attention during a two-hour-long parade. Did they have to stand that way for the whole two hours? I hope not! Anyway, I'm pretty sure they're actually celebrating this day. French defense minister Jean-Yves Le Drian announced the formation of COMCYBER in December 2016, noting that the emergence of state actors operating in cyberspace was a new way to approach warfare. The command brought all of the nation’s soldiers focused on cyber defense under one command, with three main tasks: cyber intelligence, protection, and offense. The timing of the creation of the command is no coincidence: it came after widespread allegations from the United States that Russia had intervened in the 2016 Presidential election. Yesterday, those allegations gained some additional credibility as a grand jury issued incitements against 12 Russians, claiming that they had carried out cyberattacks to undermine the country’s election infrastructure. 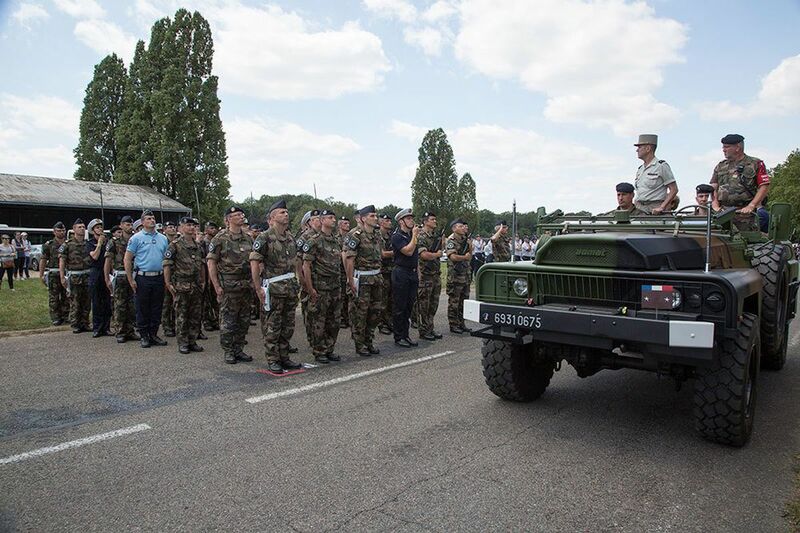 The recognition that France’s COMCYBER has received by being permitted to march in the parade alongside the rest of the country’s armed forces is a notable example of the seriousness to which its taking the issue, as officials warn that countries such as China, Russia, Iran, and North Korea remain a threat to the US and other nations’ digital infrastructure. If Voldemort (he who must not be named) gets HIS parade, violating all previous American custom to stroke his 13-yr-old ego, then the only people who should march would ONLY be from Cyber Command... each wearing Guy Falkes masks.